How many times have you been told to build an email list by clever marketing on the internet? 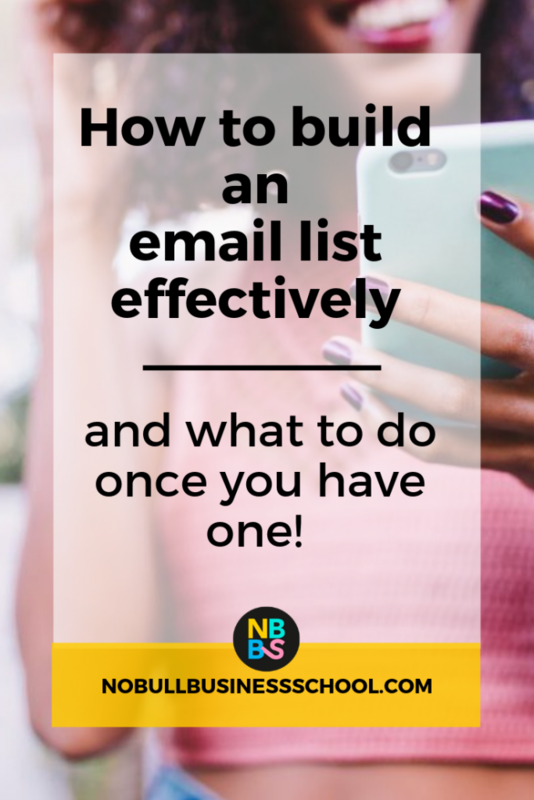 I can bet you’ve seen more than one “how to build an email list” e-course. But let’s face it, list building isn’t a new phenomenon by any means. It is, however, a non-negotiable as far as I’m concerned when growing your business. 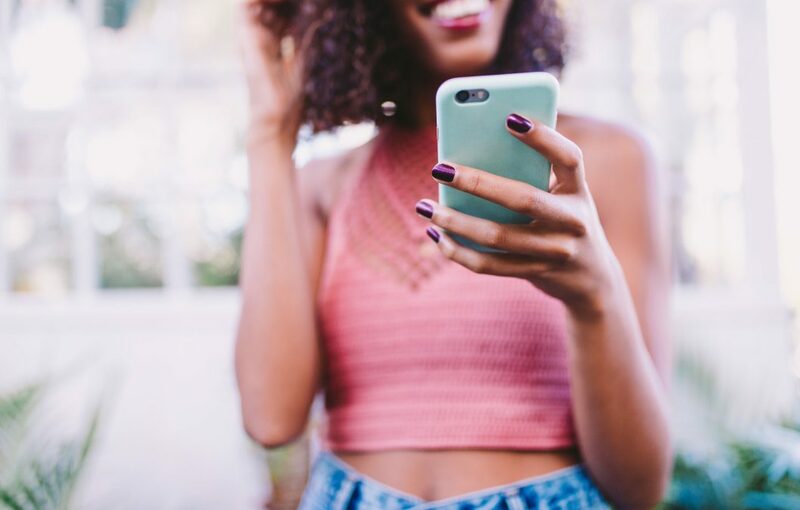 With the ever-changing landscape of the internet, it’s essential to be able to reach potential customers/readers with a route you have full control over. If Instagram decided to close tomorrow, or your website suddenly got hacked, you still have a way of reaching your people. I’m just not talking about sales emails here either. Emails are a great way of gathering feedback, starting discussions, giving advice, and building trust. If we’re starting at the very beginning, the first step is to join an email service. Mailchimp, for example, allows you to add 2000 email addresses before you have to part with any cash, as well as enabling you to build different lists for different segments of your business if needed. The templates provided are simple but cover the basics of what you need. A resource of other service providers for small businesses can be found here. So you have an email provider, but how do you actually get people to sign up? Here comes the important bit. People do not sign up for an email unless they’re fully invested in the person sending it or they are getting something in return. We don’t give our email addresses out freely. You need to ask yourself as a business owner, what are you going to give? What are your customers asking for? What solutions could you offer? Here are five ideas to boost sign-ups. Finally, offer a free sample or credit. This is a great idea for e-commerce businesses. We love the feeling of free money, right? How do you tell people about your list? The key here is self-promotion. Where do your customers hang out online? You can shout about it on social media, adding it to your bios and talking about it regularly. How about adding it to your website as a pop-up (Mailchimp allows you to embed a code on your website to trigger the pop-up when people enter your site or hover over the exit button), in the side bar, and at the end of relevant blog posts. Another idea is to go live on Instagram/Facebook. This is a great tool if you’re offering a free consultation to explain a more about the process and what people can expect. Other ideas include guest posts, creating Pins for Pinterest to share, and mentioning it on podcasts. You have an email list. Now what? The idea is to create a community, not constantly bombard readers with sale emails. Be wary of sending newsletters too frequently as this is off-putting. If you have a themed newsletter, every Sunday morning could be a good idea. Or if it’s a motivational pick-me-up, consider Monday morning when people are more likely in need of this. Sending your email at the wrong time of day or day of the week can result in a low open rate, so test and record differences to understand which is the more effective. Try to stick to a 300-word count. With Mail conversion rates three times higher than social media, is building an email list really a marketing tool you can afford to ignore? Don’t forget to leave me a comment below and let me know how you get on or if you have any questions! I absolutely love this idea, when I think about what I’d want to include or write about it that’s where I’m totally lost.. I do beauty; nails/brows/tans, but I don’t know other than aftercare/prep what subjects I can chat about for long enough to keep people interested! Have you ever asked your audience what they would like to know more about? Maybe its worth putting something out there? Remember content doesn’t always have to be the exact subject your business is in. It could be content related to your brand values, brand messaging…. think about the lifestyle and culture of your brand and that should create some more content pillars? Hey Sarah, am defo thinking of doing a monthly or quarterly newsletter. Within my email list, would it be ok to include email addresses from previous clients or people who have contacted me with work enquires, even though they haven’t physically ‘signed up’ to receive a newsletter or any other promotional material from me? That’s a good idea… I am going to add something on my website where people can opt-in for a newsletter, however until then, as I just don’t have an email list at the moment, I’ll have to use a selection of emails from my contacts! Brilliant, thank you Sarah, another valuable insight and read. Just working on my email template now. Great article. I’m starting a new business and have a newsletter setup through Mailchimp. Can I import my contacts list from a previous role and send it to them along with web signups as long as there’s a clear unsubscribe button? I need to brush up on GDPR! Hey Carly, you can import lists but you should always make it clear to them why and how they are receiving the emails e.g. you are receiving this email because you signed up to x’ I take it the previous role is still relevant to what you will be emailing them about now and are those contacts from signing up to something you offered before?